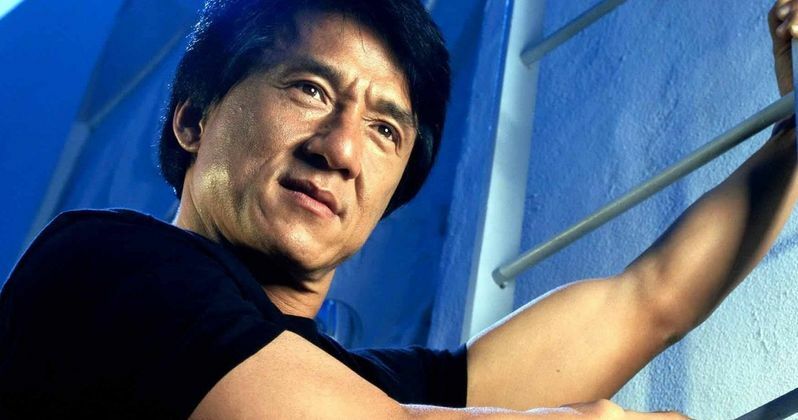 After decades of death-defying stunts, broken bones and a ton of classic movies, martial arts legend Jackie Chan is finally getting an Oscar. Chan, along with several others, will be presented with an honorary Oscar at the Academy's 8th Annual Governors Awards on Saturday, November 12. After more than 50 years in the business, Chan has very well earned this honor. The Academy announced on Thursday that the Board of Governors of the Academy of Motion Picture Arts and Sciences had voted to bestow the honor to Chan, who's first acting credit dates all the way back to 1962. The actor got his first major break in the action/comedy Snake in the Eagle's Shadow in 1978, and the martial arts world has never quite been the same since. Here's what Academy president Cheryl Boone Isaacs had to say about it in a statement. "The Honorary Award was created for artists like Jackie Chan, Anne Coates, Lynn Stalmaster and Frederick Wiseman - true pioneers and legends in their crafts. The Board is proud to honor their extraordinary achievements, and we look forward to celebrating with them at the Governors Awards in November." Jackie Chan had starred in, as well as produced and occasionally directed, more than 30 martial arts movies in Hong Kong before becoming a massive international star in the mid-90s, thanks to his work in the classic Rumble in the Bronx. Since then, he has had massive commercial success, with movies like Rush Hour and the Kung Fu Panda trilogy. To date, his movies have grossed $3.8 billion worldwide. That success has come at a cost, though. Chan famously does his own stunts, and has really pushed the limits of martial arts during his long career. That being the case, he has stacked up quite a long list of injuries, ranging from broken bones to serious head injuries. He has always found a way to bounce back and is still working steadily today. The other three filmmakers who are receiving honorary Oscars this year may not have the name recognition that Jackie Chan has, but they are equally deserving. Anne V. Coates is a legendary film editor, having worked on classics like Lawrence of Arabia, Murder on the Orient Express and Chaplin. Lynn Stalmaster has been a casting director for more than 200 movies spanning five decades. He has worked on such classics as The Graduate, The Right Stuff and Deliverance. Lastly, documentary filmmaker Frederick Wiseman is being honored for his staggering output, having made a movie nearly every year since 1967. Wiseman gained a lot of recognition for his first documentary feature, Titicut Follies, which featured a behind the scenes at the Bridgewater State Hospital for the criminally insane. These honorary Oscars are given out each year "to honor extraordinary distinction in lifetime achievement, exceptional contributions to the state of motion picture arts and sciences, or for outstanding service to the Academy." These filmmakers all seem very deserving of the honor, and they have definitely served the movie-loving community well over the years. The Academy's 8th Annual Governors Awards will take place on Saturday, November 12, at the Ray Dolby Ballroom at Hollywood & Highland Center.